From Legion, David lookin’ villainy. In the grand tradition of the X-Men themselves, death is never the end. In a recent interview on Marvel.com, several members of the cast of Legion, including Bill Irwin, who plays Cary Loudermilk, Amber Midthunder, who plays Kerry Loudermilk, and Jeremie Harris, who plays Ptonomy Wallace, sat down to discuss their characters and the trajectory of the show itself. The most interesting part was the conversation with Jeremie Harris, where he confirms that Ptonomy isn’t precisely, well, dead, and that his fate at the end of the second season, which involved his mind being uploaded into a computer, will be an opportunity for the future of the character instead of an ending. 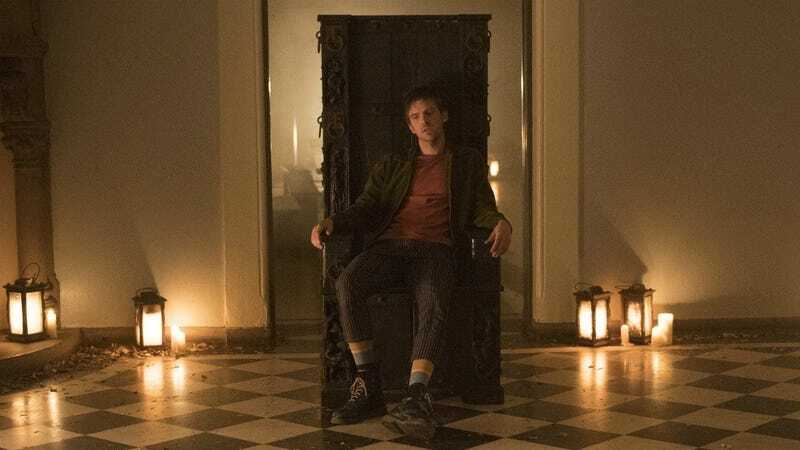 It makes sense, in the surreal world of Legion, for death to be a liminal state at best, and it’s good to see that Ptonomy won’t be leaving the show. The whole interview, by the by, is worth checking out, offering some insight into the actors and providing some quiet hints about what you might be able to expect in the show’s undoubtedly eccentric third season.